Christmas Treats! What are your favourite Christmas Treats? Hot Chocolate? Mince Pies? Christmas Music? Hello everyone! Its Ria here! Christmas is a joyous time and I remember as kids, we always look forward to special treats packed in pretty holiday colors. On this pack, comes assorted candies with fun bright colors. In front of this pack, I used Sarah's snip-n-cut sheet for my elements and stamped an additional ones for three the banners. 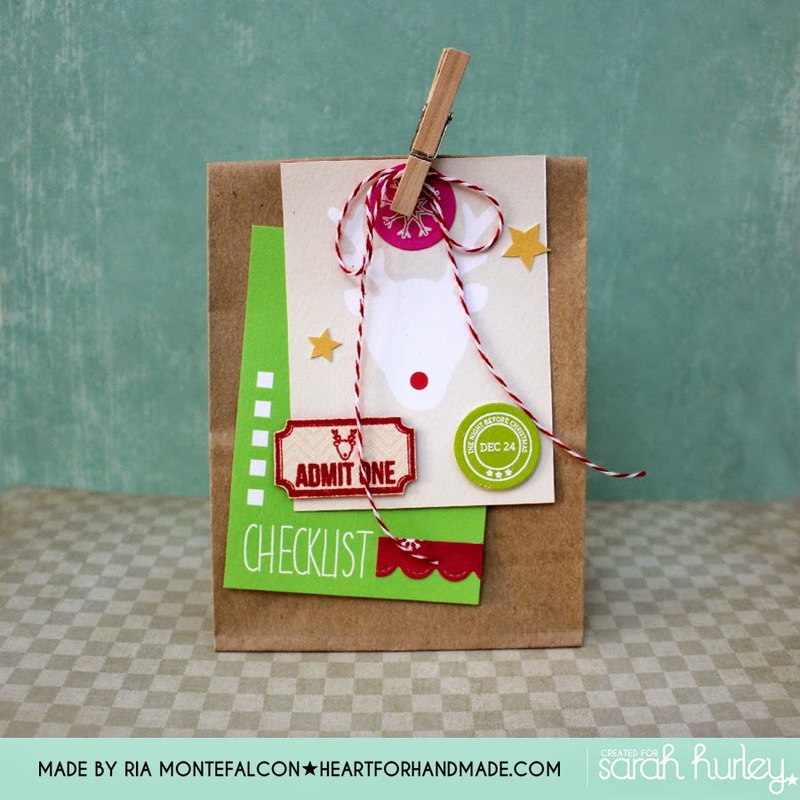 The red and white twine is the common accent I used for these 3 packs. Here, I folded the top a bit so the bag size is slightly small than the other two ones. I put mini chocolate nuggets inside for everyone to enjoy. I did again some stamping in front of the journaling cards and some embossing as well in the small circles. 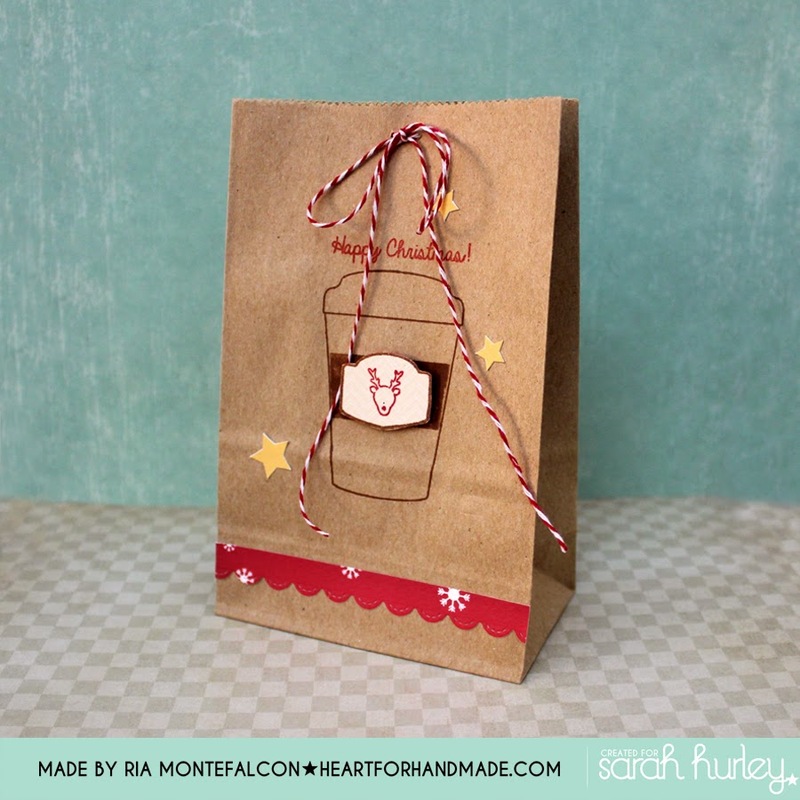 Hot chocolate treats with mallows are perfect for this bag. I tucked some of them, ready to be made anytime during the cold winter. 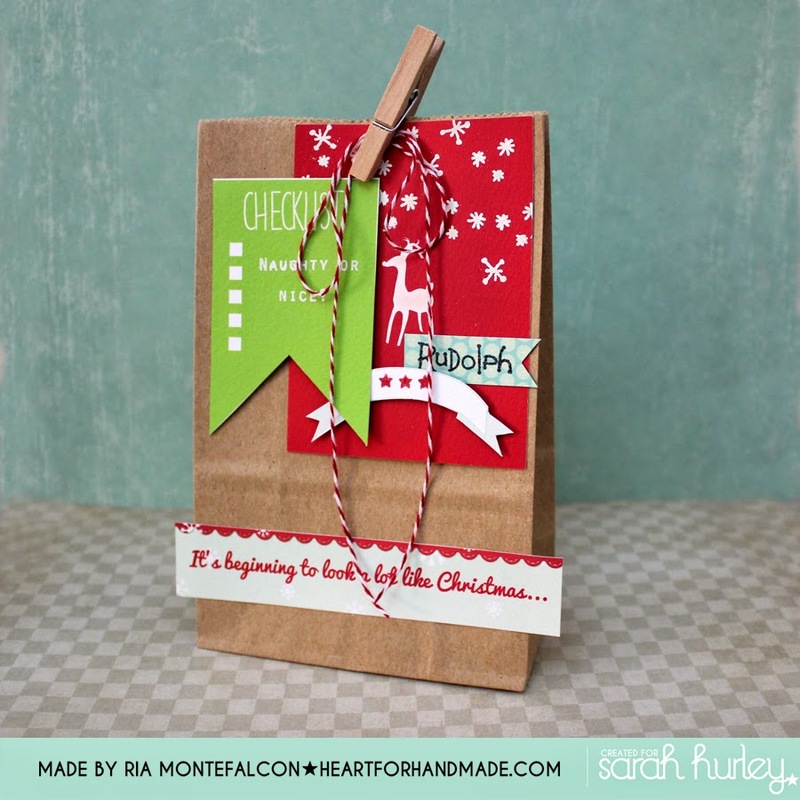 I did a very minimal stamping as I wanted to make the choco cup stand out in front of this bag. 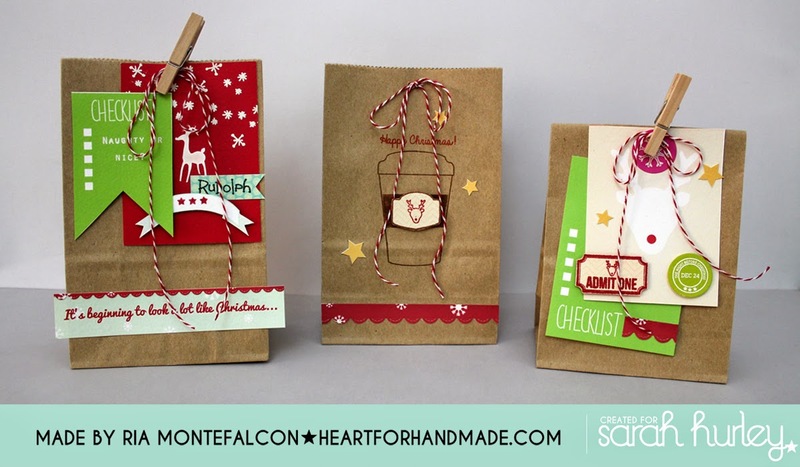 I hope you'll be inspired to make your own treats using stamps that you already have and small mini brown bags to put those treats. What beautiful treat bags Ria. Gorgeous inspiration.